We've been embracing the 'new Irish' for years now. Our neighbours, friends and colleagues have enriched our lives and workspaces and the melting pot of language, tradition and culture makes a better society. But spare a thought for the passport office, which is having to work harder than ever. More than 230,000 passport applications have been made since the beginning of the year, 30pc up on last year. 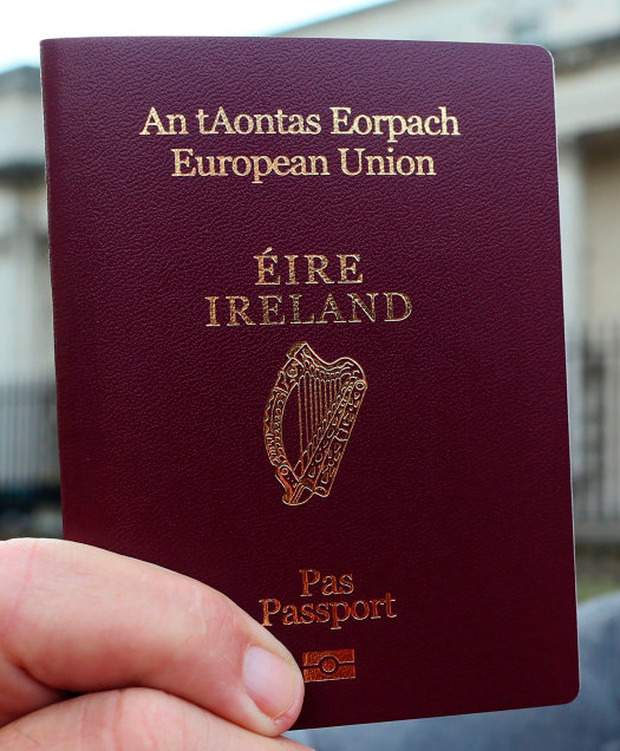 The whole of 2018 saw 860,000 passports issued - many, of course, renewals for Irish citizens. The B-word has played an enormous part, though. English people have been busy scouring family trees for a granny that might bag them the access-all-areas red-wine-coloured passport. Yet in announcing the figures, Foreign Affairs Minister Simon Coveney (who I think we all agree has enough to be getting on with at the moment) reminded people once again to keep an eye on their expiry dates. In fairness, he probably has expiry dates on the brain trying to remember the date of the latest Brexit. "Check your passports, including the children," he warned. "Every year we get hundreds of cases of the parents being ready to go on holiday, bags packed, but the night before they realise one of their children's passports is out". And every year, an inexplicable number of people continue to rock up at airports assuming their kids are automatically 'included' on their parents' passports, which hasn't been the case since 2004. Can we really handle hundreds of thousands more in the system? Actors can be a prickly lot; many a film collapses over 'artistic differences', but did one ever collapse over a fake nose? It appears so. The delight Richard E Grant took after his Oscar nomination for 'Can you ever forgive me? ', in which he co-starred with Melissa McCarthy, was charming, but the film was originally due to star Chris O'Dowd with Julianne Moore in the lead role. It was aborted, and Moore was fired after she became 'too attached' to a fake nose and fat-suit she wanted to wear to make her more like the real-life writer on who the film is based, Lee Israel. The original director thought it would be 'distracting', and they duly parted company. Meanwhile super-director Danny Boyle has walked off the latest James Bond set as the producers didn't like the screenplay he had co-written and he preferred to quit than re-work it. Rumour has it he wanted to kill off Daniel Craig's 007 a tad earlier than bosses wished and have a say over casting. The row has pushed back the release date to April 2020 as a result. But surely every Bond movie has pretty much the same script anyway? Despot wants to rule the world, Bond climbs into a tux and traverses continents to stop him, bedding beauties and shooting bad guys along the way. The rental crisis continues unabated. Indeed, it seems to be getting even worse. You know it's reached a peak when a man holding down two jobs has his rent paid by his employer, even when he's on a €360,000 salary. John Delaney isn't someone who normally inspires pity, but you have to feel for the man. Not only did the FAI stump up his rent, he then had to loan them back money to … eh, well help them pay for it.